Any chance of you releasing a special edition of Mystic Gems 1 in the future with more story centered around Gillian's decent into madness? Thank you for reminding me properly of the atrocity that is this mission. This mission is as bad as Mission 1 of CL is awesome. The big points have been mentioned; forced time limit to complete an objective, forced encounters with nigh-on impossible odds against hordes of Undead, another forced encounter that triggers another silly objective, etc. When I originally played this, I spent a couple of days struggling with this mission, trying to make some progress in it. I remember getting stuck because I had no idea what to do after the Undead overran everything that didn't involve Mercedes McBitch...oh, and one of the Undead isn't Undead at all. It's some green monster that shoots stuff at you and has a truckload of hit points. I actually managed to kill it, only to get "Mission Failed" because I killed somebody! That was the breaking point for me. I never even got to the sword. oh, and one of the Undead isn't Undead at all. It's some green monster that shoots stuff at you and has a truckload of hit points. I actually managed to kill it, only to get "Mission Failed" because I killed somebody! That was the breaking point for me. I never even got to the sword. 1. This beast is melee-only. It can´t shoot anything, and it´s almost as slow as dirt. It has scary sounds and an uncanny ability to find you, though. 2. This beast is a saving grace for a no-reloader like me. Since it´s living, and has a ton of HPs, you can easily heal yourself 30+ points over the course of the mission, using the less damaging side-swipes of the sword. I am really enjoying your reviews and screenshots, SneakyJack. I find what you write informative without giving too much away. I have used this thread to check on FMs I haven't played yet and found it helpful. Well done. I really appreciate that, and I'm glad that you enjoy them. I'm always trying to toe the line with the screenshots and info posted to make the mission as appealing as possible for those who have not tried it but without giving away the twists or all the locations. One of the frustrating things about this mission is that I want so badly to like it - I really do. Its obvious that a ton of work technically and otherwise was put into this mission - its very ambitious in what it tries to do.. which makes the little things that really got to me all that much more frustrating. I'm hoping that someday Zontik will consider releasing a special edition of this mission with a few changes - I know that I would definitely give it a re-play and re-review if that was the case. This mission has you searching for a mysterious mirror and encountering the crazy events that unfold during your search. You find out that the mirror isnt the only thing that has been moving around behind the shadows. The first thing that threw me on this mission was starting out in a somewhat modern setting with computers and electronic coffee makers - something that looks very weird and out of place in the dark engine.. and though you find out it was just a dream within the first minute or two of the mission - it still threw me a bit. That and the awful translation at the beginning that is supposed to be explaining the entire point of the mission to you - but is in such broken english that I wish the author would have just taken five minutes to seek out an english speaker to re-translate it into actual english that didn't come from a translation site. Honestly, just as bad as the mumbling in the Haddur series bothered me in one mission because I couldn't understand any of it - this one bothered me as well. I have no problem with the voice acting (which is good enough and not in english) being subtitled - but honestly - 90% of the translation makes no sense. Everything happens to occur for the first time some day. An actual quote from the woman at the beginning of the mission giving you the entire point of the mission - most of which you'll really not understand. Reading that sentence more than once is not recommended, as your head will soon begin to ache. So at this point I know there is a mirror, and that apparently DO NOT KILL UNARMED was in big letters and was one of the only things I understood - so we're off to be aimlessly thrown into the mission. Also apparently the person sending you out is not the woman but some mysterious benefactor that won't reveal themselves. The mission itself is pretty fun from a gameplay perspective. There are some varied locations, a bit of mystery thrown in at one point and even a bit of thieves highway type roof jumping shenanigans to keep things fresh. But with the ledge and roof jumping comes another problem.. One of the jumps at the beginning (after climbing a tower) gives you a sliver of brick wall no thicker than one brick itself to first jump onto then off of - and I probably fell three times before actually catching the end of the brick BEFORE I could make the jump. Play this mission, you'll see what I mean. Another thing that punched my ticket to frustration city was the bit of swimming under the mansion that saw me getting caught randomly on the tunnel for no apparent reason and drowning twice before I got to my destination. Not fun - I thought it may have been a fluke the first time but got caught again on a retry without getting close to the edges of the tunnel. 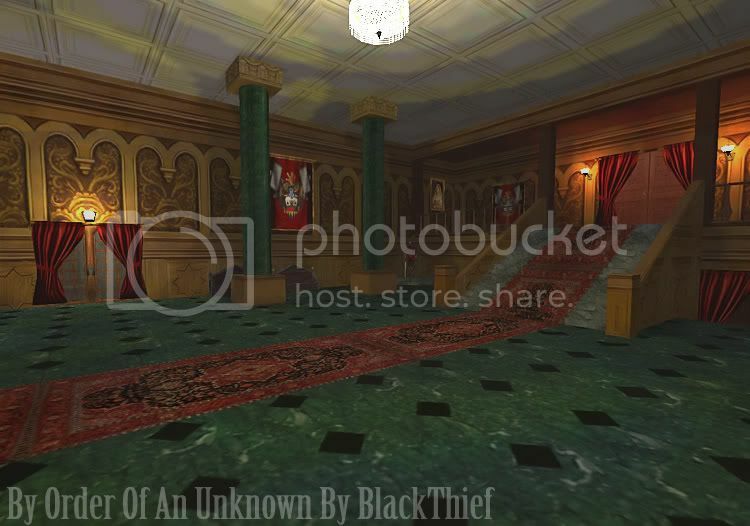 The shadow placement in the mansion itself is almost non-existent without using all your water arrows (which isnt a big deal) but it'd be nice to have an area here or there to hide that isnt completely under a set of stairs. Now that all that is out of the way - this mission is still alot of fun. There is an interesting bit in the police station that you learn through readables has made your blackjack useless (so watch yourself!) and there are tons of nice technical tricks all over big and small (waving signs, an escalator, little touches that really add to the mission) and some humor as well (try blackjacking the picture of the guard in the watch station - very funny) and a good story as well. This mission will take some time as there are lots of keys involved (three colored keys for one of the main gates that you must collect from completely different locations) so don't plan on finishing this one quickly - but there is alot of good stuff to be seen. Also - watch picking up the mirror when you find it - you might not be ready just yet.. thats all I'll say with that hint. Aesthetically the mission looks very good. The locations are interesting and well built (some built into each other) and the area is fairly large that you end up covering. I do recommend this mission, but only if you have a decent amount of patience. The Keeper Investigations series tells the story of the rise of the Mechanists after the defeat of the Trickster - and the twists and turns that follow. How will this rise effect the city? What exactly are they planning? Well, thats exactly what the keepers want you to investigate. Part 1 starts out in the city with Garrett trying to get a hold on exactly what he is up against by following the keepers request. Filled with the now weakened Hammers, Mechanists and the City Watch - getting from one end to the other will be no easy task - though there will be plenty of loot and rooftop opportunities along the way. Gameplay wise - this mission is very fun. Intruder knows what makes a fan mission fun - and displays it proudly in the first mission in the series. Lots of great shadows to keep you hidden, tons of building to building thieves highway activity (particularly well done, with a few different entryways into some of the buildings and houses) and a large amount of guards to hand deliver some naptime via blackjack. Though the city is heavily populated with guards on patrol - you have multiple routes at any one time to try your luck at sneaking past close quarters (which is possible) or to completely bypass from above, which is great fun. Short version: If you enjoy what makes thief fun, you will enjoy this mission. As far as looks, this is a good looking mission. The texture choices were great (I particularly liked the red brick texture for some of the homes) and the architecture is very fun. The very beginning may hand you a drink of frustration with some of the rope arrow work (window ledges with shudders that come outward and a particularly difficult jump to a ledge) but overall don't push your patience far enough to worry about. The buildings are linked together very well, and jumping from roof to roof or building to building is easy leaving you with little to no frustrating falls. Overall this mission is very solid and a great deal of fun to play - it will reward those who are brave with the rope arrows with a few secrets. During the first few minutes of the mission you may think it will be a quick in and out (I did) and a small area - but as you play it opens up further and further until you've covered a fairly large area. A great start to the series, a very good mission overall and lots of fun. Highly recommended. It is in this mission that Intruder's campaign really begins to shine. The entire mission takes place on a shipping dock that houses many buildings - each with their own unique "contents" so to speak. 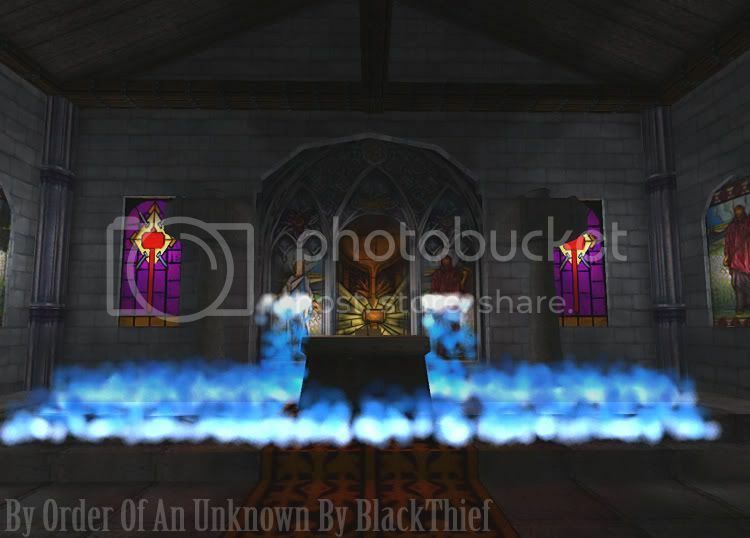 You'll encounter many different enemies from the thief universe within - and they are all placed well in that it makes sense for them to all be in such a location. Gameplay wise this mission is my favorite of the three - It is a blackjack lovers paradise. One of the optional objectives on easy is not blackjacking more than 6 times during the entire mission (thanks to intruder for making that a bonus objective instead of a fail) but if you are anything like me, you'll easily finish with double or three times that amount. Not being a ghoster myself (and finding blackjacking the most satisfying way to proceed) I doubt I could keep it under six in this mission - it is pretty heavily populated. Like the previous mission, Intruder manages to toe the line very well between challenge and overdoing it with how many enemies you will encounter. There are a ton of different foes in this mission but their patrol routes and placement are so well done that you'll never be frustrated or too far outmatched to where you cant sneak up or make your escape if need be. I really enjoy how many enemies the first two missions gave you to work with - it made the missions seem more active and "alive" rather than sparse and unpopulated. As far as looks, this mission is a joy to play because of the construction. Water all around you for escape if need be, lots of wood textures make it nice on the eyes and overall very well done. The inside of the buildings are filled to the brim with shipping containers, loot and cargo of all kinds. If you are a fan of pirate style missions, dock missions or anything involving water - this is where the campaign will really have the rubber meeting the road for you. I really can't find much negative to say about this mission other than I wish it had went on longer and been bigger - but thats more of a compliment (the mission is not that small at all) than a complaint. 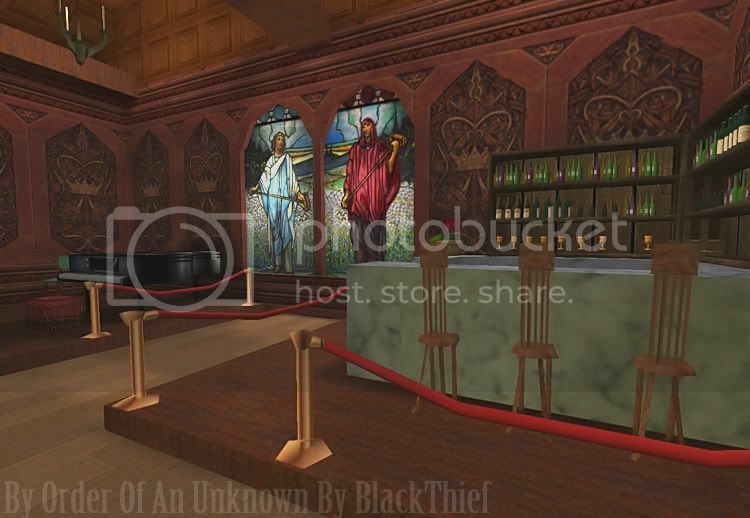 Just like the first mission, this one is filled with things that make thief great, and is just alot of fun. Part three has finding yourself on a ship with the only sound being your own breath after a mysterious event in the first few seconds of the mission leaves the crew slain and you looking for answers. This one is a complete departure from the style of the other two in that you'll be working with much smaller areas and solving some fairly simple puzzles to find a way out of your current situation. Gameplay wise this mission was probably my least favorite of the three so far, but it is by no means a boring or un-fun mission to play - just very different. Its hard to explain alot without giving away some of the best surprises, but I will say that this mission displays some fun technical tricks and has you practicing your diving skills much more than most fan missions. Storywise the mission is excellent and really gives you a sense that something strange and terrible has happened - and you feel a mild panic of being alone on a ship and having to put together a makeshift plan to get yourself out of there. Unlike most fan missions however, you'll be spending more time outside the ship than in most likely. Again, more excellent readables further the story of what the crew were working on before the event. I look forward to parts four and five and finding out what happens with the story - and I'm sure Intruder will not disappoint when he releases the next installment in the series. Only a few screens due to this being a smaller mission and me not wanting to give away everything. I tried to get a few good shots of the open sea and skyline, but it completely washed out when I tried adjusting the brightness and contrast like I normally do so I couldn't use them. So far we're at 41 missions and counting! If anyone has used the screenshots or recommendations by myself or others to check out missions you might have missed - please let us know what you thought after you played the missions - regardless of whether you agreed or disagreed with our thoughts. I'd like to hear many more opinions on missions. Also, I'm not trying to hog the show here - I'd like to see screenshots and reviews from everyone else as well! Nothing annoys me more than seeing computers or water closets in Thief missions. I agree with everything you said about The Mirror and the Keeper Investigations campaign SneakyJack. Reading what you wrote, it was as if I had written it myself! I only made that jump in The Mirror successfully one time, after over a hundred tries!! I really enjoyed the mission though. But this is one mission I would never have been able to get through without help from the forum. I eagerly await the rest of the Keeper Investigations campaign. I just love intruder's work! That you picked my missions and gave them so good credits really honors me SneakyJack! For the last missions of Keeper Investigations I can promise that it will be a mix of completely different settings / locations again. I think done in the right context (a futuristic mission) it is alright - but beginning The Mirror out with that was really offbase, even if it was a flashback or dream. Starting out on past thief and then flashing to present would have worked alot better. I don't know if anyone quit after seeing the computer on the first screen, but I thought about it the first time I played the mission, to be honest. I'm glad someone relates - I was kinda worried bout the tone of my review and people thinking I was slamming it for small reasons - but really - when you make gameplay completely frustrating or break immersion it really isnt a small thing. And I agree that after you get over those bumps it really is a well put together mission. I remember being a tester for the first mission - and when I sent you my suggestions you were really great about taking feedback and you seemed to have fixed or changed most of the things that people suggested to you - probably my most pleasant testing experience thus far. And trust me, I've had a bad one or two - some folks here should not ask for testing if they are just going to make comments like "if you found (random advice) frustrating then you need to have better thief skills). I still to this day refuse to comment on said authors missions or ever test for them again after how I was treated in that experience. Hell, the mission was released without some of the major stuff even changed or fixed. I didn't get to test two or three but they came out really great, and are a joy to play. I look forward to the next ones. I remember being a tester for the first mission - and when I sent you my suggestions you were really great about taking feedback and you seemed to have fixed or changed most of the things that people suggested to you - probably my most pleasant testing experience thus far. And trust me, I've had a bad one or two - some folks here should not ask for testing if they are just going to make comments like "if you found (random advice) frustrating then you need to have better thief skills). I still to this day refuse to comment on said authors missions or ever test for them again after how I was treated in that experience. Hell, the mission was released without some of the major stuff even changed or fixed. Well this is indeed not fair to you. But I can understand this behavior from a certain point of view. If you put hundreds of hours of work into something and then you'll hand it to people who'll tear it appart and show you all of your faults and mistakes it can get frustrating. Then you'll sit until 4:00 in the morning in front of your PC, fixing things just to realize that on the day after that, the same problems reoccur. People who cannot deal with criticism from others, may say something stupid / bad in that situation. But it is most important to be as friendly and kind to your testers as possibble because they are also doing a hard job. Voluntarily. I was lucky to have very good testers (including you ) for all of my 3 missions so far and it was fun to work with them. The one I showed the screenshots to is part of the game developing team I'm involved with at the university. Sometimes we have those small "arguments" how to solve a certain problem with our own game engine. 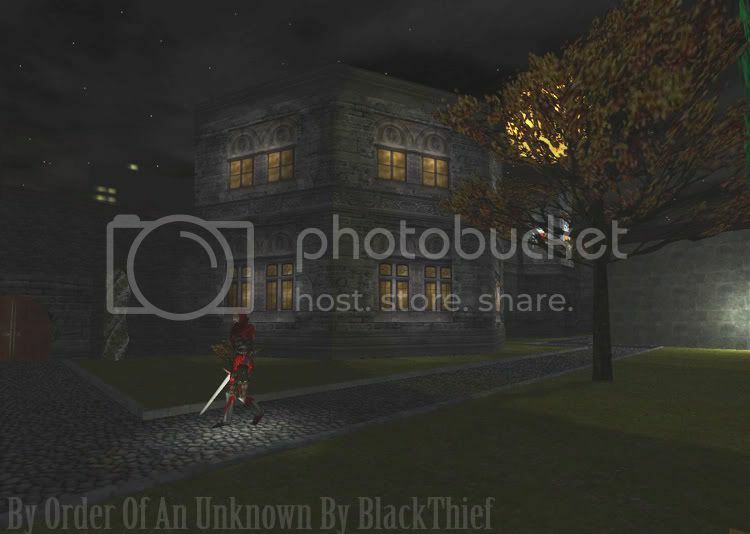 He always comes up with "But in the SourceEngine they did ...." and my reply: "Yeah, they put that into Thief as well, about 10 years earlier"
So I showed him your screenshots to convince him that the DarkEngine ain't that bad. After viewing the screens he was like: "So where are the screenshots taken with the DarkEngine? I can't be them..."
Thats a great story about your friend - I'm sure if the creators of the dark engine saw these missions this community is cranking out they'd be just as shocked if not more. About the testing situation, I completely understand about missions that you've poured your heart and soul into being criticized. My suggestions to this particular author were more "this will break the fun for many non ghosters" suggestions (I try to go into testing from the viewpoint of someone that hasnt played hundreds of fan missions like I have - the casual player I guess) and was shot down and told that my suggestions were just because of my poor thief skills. I put aside more than 10 hours (over a few versions) of my life for this mission to try not just to break it and find bugs - but to make sure it was fun. Can't win 'em all I guess. I would be glad to test any of your future missions and would be honored if you chose me to be part of the testing team. Last edited by SneakyJack; 2nd Feb 2009 at 17:50. Gameplaywise this mission is alot of fun. You'll have dozens of blackjack opportunities over the course of this huge castle romp - and there will be no shortage of situations for you to truly test your skills. Most of the castle is comprised of huge open areas and stone floors (with a few marble exceptions that are quite noisy as you'd expect. You'd do a ton of running, which can get mentally tiring (go figure) but overall no frustrating puzzles or situations. Well - other than one. 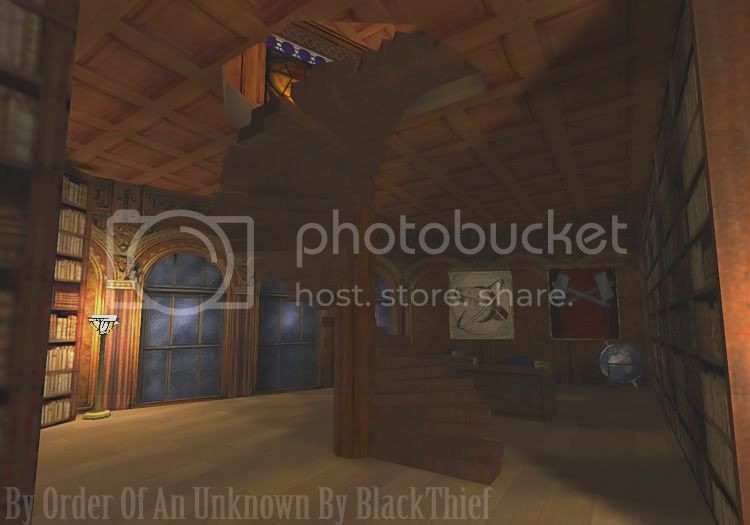 There is one spot that will have you climbing up into a room with an archer facing the ladder who will plunk you with an arrow or two before you can get to him. This happens more than once - and from what I saw there is no way to avoid getting hit at least once - Garrett just isnt that fast. Storywise its pretty thin here, but really, the gameplay is why you play Cardia 's missions. I really didnt care for the whole "space garrett traveling to other planets yet here we are in a medieval castle" explanation - but at least its different. Cardia could have swapped out a blue sky for the orange one and put it in typical thief time and and it would have been just the same to me. Looks wise this mission is incredible looking. 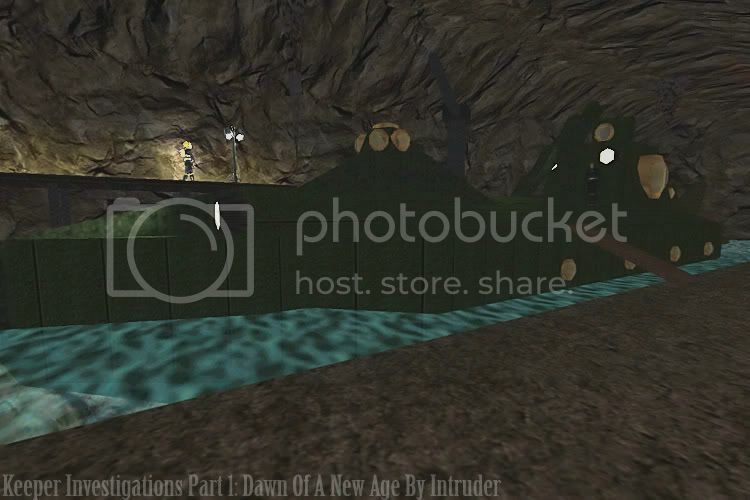 The textures are crisp and gritty, the spaces are huge and open but well decorated and lit (could have used a few more water arrows being that there are dozens and dozens of torches in this mission) and the lighting and sunlight effects are very nice looking. The castle is well built and never becomes too confusing despite its size. Overall very well done. This mission may lead to a little bit more combat than you'd like if you are a ghoster, but for me it was just right and can be blackjacked through with no problem. Highly recommended! 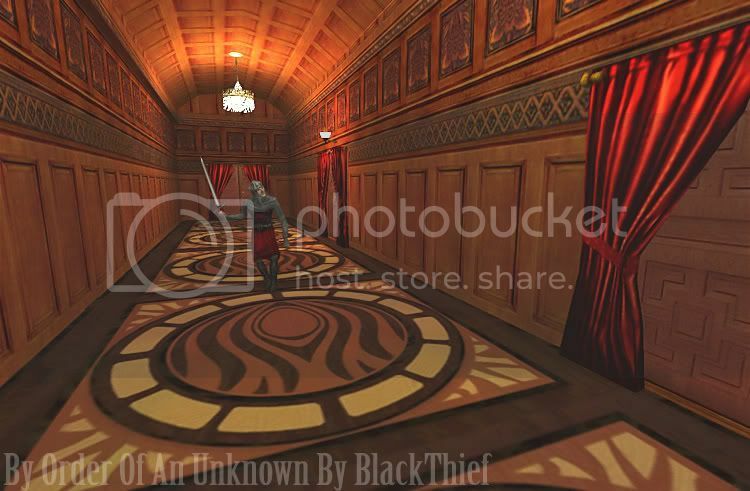 There is one spot that will have you climbing up into a room with an archer facing the ladder who will plunk you with an arrow or two before you can get to him. This happens more than once - and from what I saw there is no way to avoid getting hit at least once - Garrett just isnt that fast. It is possible to get up there without getting hit. In fact, it is possible to ghost the mission believe it or not. Just very, very challenging (and time consuming). Please share your method because I tried everything. I guess you could use an invisibility potion or a flashbomb - but is it possible without expending resources and without getting caught? I couldnt get a water arrow off in time to not get hit. I really love reading this thread! Keep up with the amazing work, SneakyJack! Thank you friend! I really appreciate your kind words. Everyone that is posting in this thread is making it great to read - I just wish I could convince folks to post more of their own fan mission reviews and impressions so I'd have more to read as well! Where to begin on this fan mission - it truly is a tour de force of thiefy goodness that only Lady Rowena can bring us! You may know Lady Rowena's fan mission work from The Seven Sisters - which in itself is one of the best fan mission sets ever produced - but years before the sisters caused their own unique brand of terror Rowena was causing Garrett trouble in this gem from 2003, Rowena's Curse. The story in this mission has you discovering just how far into the spiral Rowena (the character in the mission, not the mission author) has gone and what you must do to stop her - along with some very interesting side stories like a kidnapping rescue and a love story of sorts with one of the guards and his lady. There are many plot twists and reveals along the way - and the story here really is top notch and well written. Lady Rowena knows how to write a story, and it definitely shows here. Also making an appearance is the dreaded jumping puzzle. Never been a fan of those, but at least the one here is not that bad or taxing on your nerves. I fell to my death once, but only once - so no big problem there. I dont think the dark engine was built for jumping puzzles, really. Those two minor points aside, this mission is incredible fun and throws alot of different situations at you. A major showdown that you can solve a few different ways, lots of guard activity and even a creature or two will cross your path in this one. Shadow placement and cover are always nearby, and you can make it through the entire mission using only your blackjack if you use your head. As far as looks - this is one fine looking mission. Everything is textured very nicely - and the different locations and feels really give you variety. The mansion layout is very well done and linked in the middle by a courtyard to help you keep your sense of direction. Plenty of nooks and crannies to sneak through and quite a few secret areas will keep you looking for switches - just the way I like it. I guess the final thing I should mention is the length of this mission - you will spend some time on this one. It isnt a lunchtime mission, that much is certain - prepare to devote three to seven hours on this one depending on your play style, how well you know the mission and how often the jumping puzzle hands your behind to you. I've refrained from showing many of the locations and talking about many of the story points and objectives due to them being interesting enough to want you to see them for yourself - so give this one a spin. Lady Rowena's Curse is one of the finest fan missions ever produced - set aside a few hours and experience it yourself. 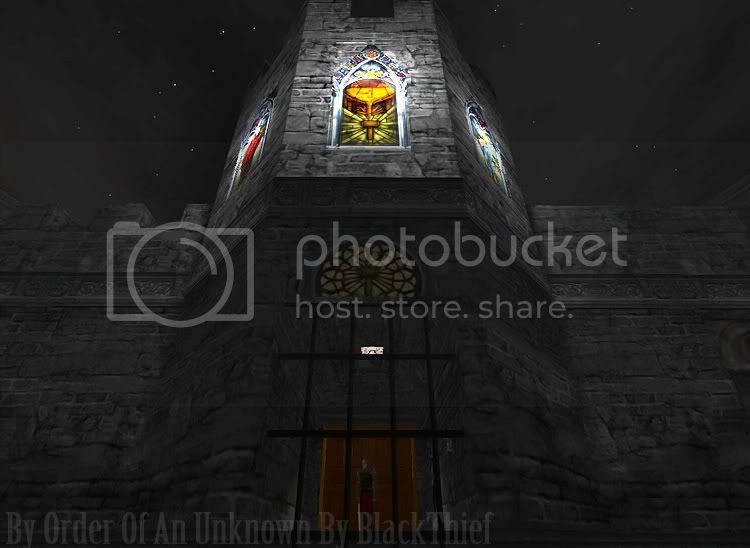 This mission has you in search of the fabled spear of destiny housed inside a huge library complex. On your journey you'll meet up with foes both mechanical and magical - along with a few surprises that I wont ruin for you here. Needless to say, it isnt as easy as you might hope. The first thing I have to mention right offhand (thanks to pavlovscat for reminding me in another thread after I forgot to include it here) is the hilarious theme song to this mission played at the main menu screen. I don't want to ruin this song for you, just give it a listen, its pretty funny. Storywise this mission is pretty solid. There are a few readable scattered here and there that talk about the objects you are after along with a little backstory. The spear of destiny (The real historic one) is always interesting to me due to how important it really was in religion and history - so I wanted to find out what happened in this mission indeed. The gameplay in this one is pretty uneven. It starts out really slow with very few guards to encounter and alot of ground to cover - and there are a few negatives (Marble floor abuse and whats up with the metal doorframes? There is almost no way short of a moss arrow to cross over them without making a loud metal CLANG every time you enter the room. Not a good design choice I dont think) but overall the mission gives you plenty of shadow skulking chances to sneak by both human and camera on your way to the fabled items. Nothing too frustrating is encountered really, but the metal door frames can be a pain if there is a guard so much as two rooms away. Architecture wise - this mission is not going to win any awards.. Most of the rooms and hallways are completely empty of any decoration or anything that really makes them even worth going into - about 90% of the first floor is made up of rooms that have no point or even anything to look at. 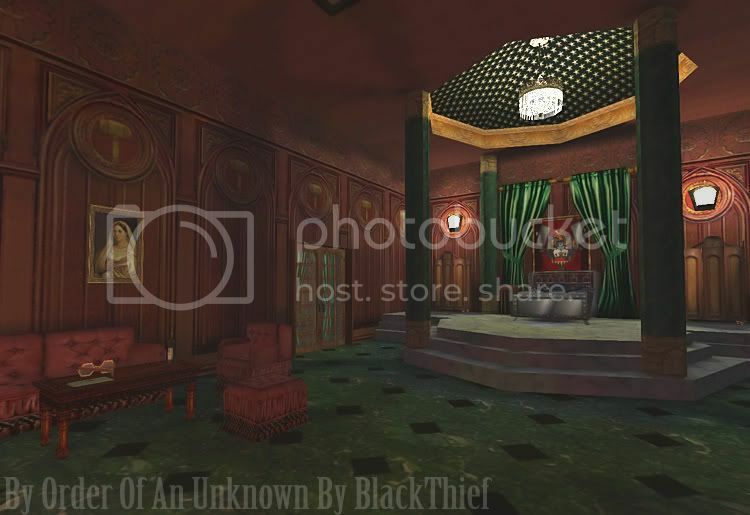 A future re-release with added texture enhancements and decor items would be really great with this mission - it would add so much production value to an otherwise solid level. The overall design of the building is good - lots of hidden ladders and passageways leading to every corner of the building to make your way around without being seen - though difficulty is really not an issue in this one. The camera areas are a bit rough - but even if you set off the alarm - the turrents usually end up in the floor giving you no worries there either. This is more a bug in the turrents than the authors fault, however. Though this mission has a few bits that may get to you - it really is worth a look if you have not yet checked it out. Its a fine mission overall and a good bit of fun once things really take off - the last half of the mission is much better than the first half. I won't spoil anything, but there are surprises. Last edited by SneakyJack; 3rd Feb 2009 at 20:32. Everyone that is posting in this thread is making it great to read - I just wish I could convince folks to post more of their own fan mission reviews and impressions so I'd have more to read as well! I plan to, but it may be some time before I actually have the opportunity to contribute. Keep up the good job, though! Same for me! This this is lots of fun. I'll post some as soon as I can. I don't know how this one managed to slip under the radar for me for so long, but this had been my first playthrough (that I can remember) and I was really impressed with this mission. Storywise this mission has you being approached by a mysterious benefactor wanting you to break into the estate of a hammerite and specifically obtain the Book Of Death. You also learn of a long lost magicians tower that most people dismiss as nonsense. Time to find out! As far as Gameplay I had a ton of fun with this mission - and it only makes me all the more disappointed that I somehow missed it until this evening. The mansion does suffer from a bit of the ol' Marble abuse but not enough to get frustrating (in fact, only in one or two main halls which I guess isnt really abuse at all) and well placed lighting and switches make it a joy to sneak through. I guess If I had to have one complaint it is the magic bridge item that you need to advance that I used pre-maturely and screwed myself into a reload - but thats just a minor thing. This mission contains no frustration and a good bit of fun and sneakery. I don't think sneakery is a word - but I'm using it anyway. This mission will not leave you wanting when it comes to looks - this is a fine looking mission. Every room is well furnished and decorated - there is one room with a twisting staircase that is particularly well done and the hammer decor is always a welcome sight - and extra points specifically go to the texturing of the guards clad in red and gray - the colors used on their uniforms really stood out and looked fantastic. I don't know if BlackThief made them or borrowed them from another author - but those are the best looking guard uniform colors I've seen in a fan mission to date. There are a few surprises in this one that will keep you playing to see what happens, and the mansion estate is littered with fun little areas of things to see and do. I very much recommend this one. Hammers with lanterns. Yeah - best to stay hidden. Those hammers sure know how to decorate. Inside the estates main hall. That twisty staircase looks like fun. Time to get drunk and practice my Jerry Lewis impression.